Reminder: No Story Time this week – April 25, 2019. See you next week! Public Library Association unveils 2019 award winners – The Baker & Taylor Entertainment Audio Music/Video Product Award provides $2,500 in funding for audio music and video products. The award goes to the Ivan O. Davis – Liberty Library, a rural library serving the approximately 2,000 residents of Liberty and Montville, Maine. The library plans to use the award funds to increase its DVD collection. The theme will be Medieval period. Come prepared to share anything pertaining to the theme with the group. 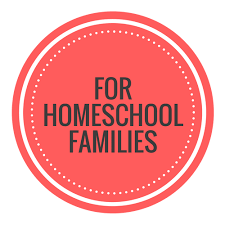 Click the ‘Homeschool Group on Facebook’ in top bar to get updates. Nickel and Dimed: On (Not) Getting By in America by Barbara Ehrenreich Ehrenreich goes “undercover” as an unskilled worker to reveal the dark side of American prosperity. One paperback copy still available at the library. Also available as an eBook on Download Library. It’s time for another quilt raffle! “Sunbonnet Sue Visits Maine” made by Sheepscot Valley Quilters in 2009 is revisiting the Liberty Library this summer. This like-new quilt has been donated to the library by Lorna Crichton in hopes it will find a new home. Tickets are $5 each. The drawings will be done at the Ice Cream Social on August 24th. This beautiful quilt is on exhibit at the library. Late last fall, landscaping work was done on the outside of the library. A stone bench and table were added in memory of two beloved deceased library volunteers. Plants will be added soon. 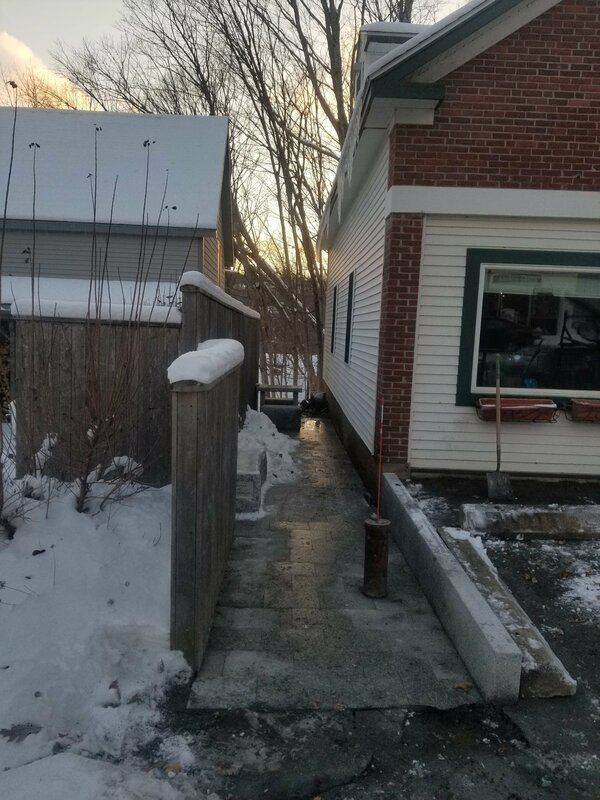 We are looking forward to utilizing this space this spring and summer, but we don’t know what to call it. “Outside Area” seems so uninspired. We need your help! Make a suggestion here. Jen had to reschedule. Please let others know. Jen traveled to Greece in early March and took yarn and knitting supplies we had collected for her. She will return to the Liberty Library to speak about her latest trip and the refugee crisis. All are welcome. Laura Jackson has been a member of the Beatrix Potter Society since 1992. The picture on left is in front of Hill Top, the first farm that children’s author Beatrix Potter purchased in the Lake District. She will be displaying photographs taken in England, as well as many items from her Beatrix Potter collection, at the library during the month of April. As we enter the season of spring, we are winding down our mitten and hat donations to the Walker School, the WaldoCAP Headstart program, and the Belfast Soup Kitchen for the past winter. We will still accept hand knit items to be distributed in the fall, so keep your needles and hands working when you are able through the upcoming months. Smaller-sized mittens are most appreciated for Headstart and larger-sized ones for the Walker School. They are so appreciated and keep the hands of our youngest residents warm! Hats, scarves and cowls are most appreciated for older Waldo county residents who are in need, and these are distributed through the Soup Kitchen. We thank all of you so much for your efforts over the last few years. We do make a difference! Stop into the library and see the drawings the staff at Headstart sent us, done by the children whose hands we warm. They are touching! 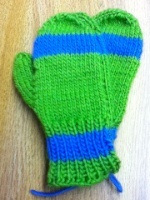 Simple 2-needle mittens: 3-4 yrs, 4-6 yrs, & 6-8 yrs. A simple pattern for hats can be found here. Another Stockinette Watch cap pattern. We also collect yarn and needles for Jen Gunderman who delivers these to organizations assisting New Mainers transitioning to life in Maine. They in turn make hats and mittens for other refugees who are in camps awaiting permission to be allowed into other countries to begin making new lives for themselves and their families. Several knitters are getting together informally to knit and chat on Wednesday mornings at 10:00 at the library. Anyone is welcome to join them. About 35 years ago, Janet Heslam bought from an antique shop in Brooks four daily journals from October 1864 to October 1871. It turns out they were written by a man in Montville who farmed, but he also supervised the one room school houses. At the end of the first journal, she found the signature of H. M. Howard. The other journals are not signed. Janet determined the journalist was 27, in 1865, and his daughter Eva died in 1864. Janet decided to transcribe these journals to share in her weekly letters to her grandchildren. She offered to share these transcriptions so they could be posted on the Library webpage for everyone to read. We will post one a month. It will be interesting as we go through the year to compare the daily happenings of a man 150 years ago to the present day. We hope you enjoy!